"Pulp Fiction" makes its long-awaited bow on Blu-ray October 4th, and with it comes a whole rash of new interviews and behind-the-scenes features. 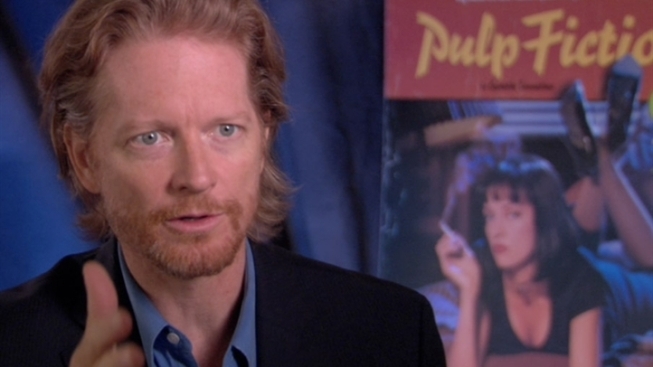 In this exclusive clip, star Eric Stoltz (who plays drug-dealing "Fruit Brute" enthusiast Lance) talks about what makes Quentin Tarantino's brand of fame so unique. This clip is actually taken from interview footage only partially used on the Blu-ray, so you won't see this anywhere else. Originally released in 1994, "Pulp Fiction" essentially re-wrote the rules of the crime movie for the next two decades. It also took Quentin Tarantino from "that guy who did Reservoir Dogs" to a household name, not to mention that it single-handedly brought John Travolta back from the career dead. The Blu-ray features brand new "making of" documentaries as well as archival footage from the massive mid-90s press tour. Once again, it's available October 4th.